Our local youth work hard to prepare for Lemonade Day, but they also know that the work isn’t done when they close up their stands. They are then asked to evaluate their business performance by calculating gross and net profit, comparing their results to their original goals and more. The end of the fiscal year is a good time for our business clients to do the same. You likely track your gross and net profit on a regular basis, but how are you doing when compared to your projections, your goals? Do you understand all your financial obligations and are you prepared to meet them? Have you scrutinized your balance sheet and profit and loss statements to understand what you’re doing well and what could be improved? Have you recently reviewed your insurance policies, coverage and rates to make sure you’ll weather unexpected adversity? Now is also a good time to make some new goals and set a plan to review them regularly. The year will undoubtedly throw you some unanticipated curves, but if you keep your sights on your goals, slow (or quick) and steady progress will be made. Happy New Fiscal Year ! 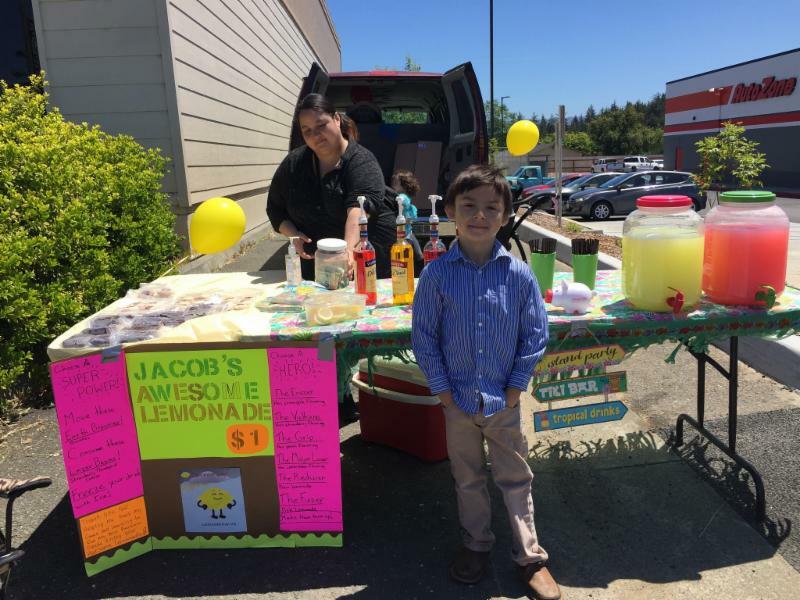 On June 2, Humboldt County Celebrated Lemonade Day with the community's youngest entrepreneurs, a ges 5 to 17, operating about 60 stands all over Humboldt County. Those participants collectively earned about $11,670 in gross profit and netted about $6,830. "Having a lemonade stand was so much fun!" said Jacob Lawrence of Jacob's Awesome Lemonade Stand. 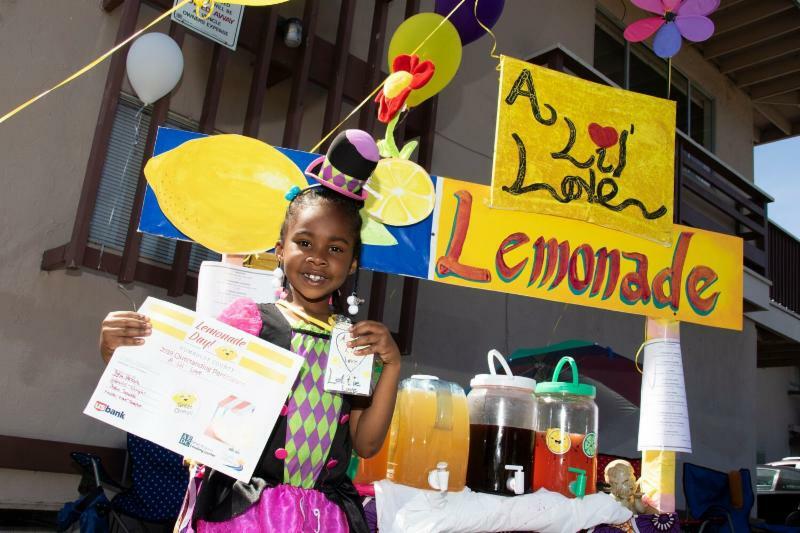 "I wanted to participate with Lemonade Day to raise money for Buddy Benches at my school. I really wanted to help because I wanted kids to learn about how to be a good friend and include the kids on the benches. I also love advertising for my stand! I will definitely participate again." October Mintey and Everette Young, both age 10, have been friends since they met at Woodside Preschool. 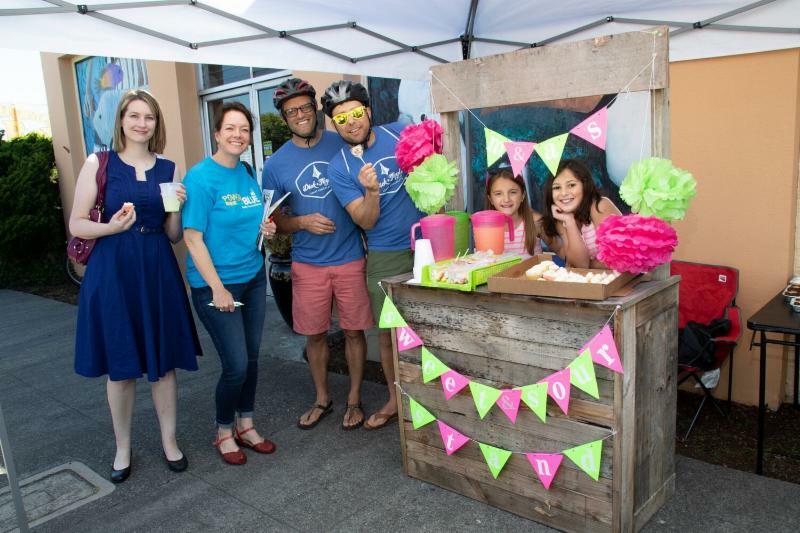 This year, they took their relationship to a whole other level: co-business owners of “Lemon Acres,” a Lemonade Day stand. Located in Redwood Acres Fairgrounds, the stand was a partnership with Succulent Bliss, a participant in Open Studios that same day. The stand offered lemonade with simple syrups the kids made with the help of their Moms. They used jalapeno (which was more popular than they expected), strawberry (the best seller), lavender, basil, ginger and rose-hibiscus. “I got to boil the strawberries for the strawberry one,” said Everette. “A lot of people tried jalapeno-strawberry,” said Everette. 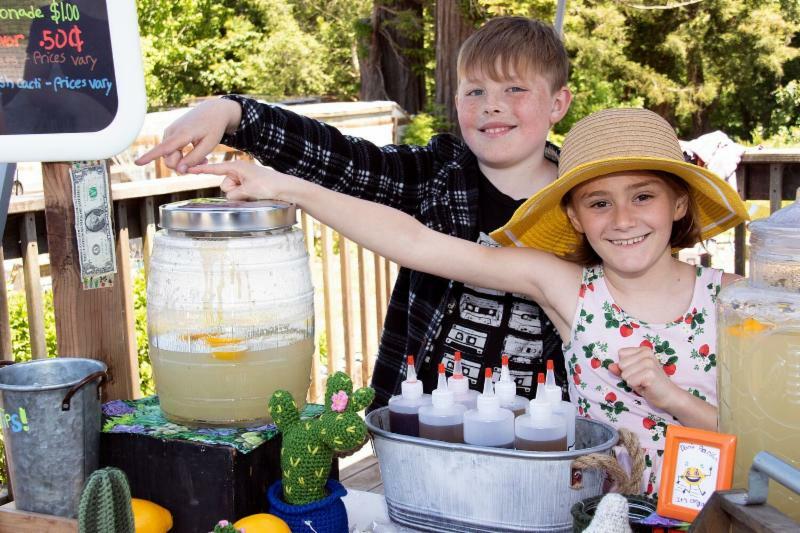 They wanted to have the lemonade stand because they were excited to be by Succulent Bliss and to serve lemonade, said October, who sheepishly added that the money was also a motivation for participating. And, they made money. Even after paying back their investor, they made $133 each. They saved costs on the expenses by using reclaimed wood for the stand and they had cookies shaped like cactus donated by Everette’s Grandma. They also made “more than they expected” in tips. They each shared about 20% of their profit between CASA (Court Appointed Special Advocates) and HART (Humboldt Animal Rescue Team). October, who chose HART said, “ "I chose HART because I love that they help cats and they treat them so well while they look for new homes for them." The kids say they’re going to do it again next year. They already have a stand that both of their dads helped them build. Next year, they say they’ll make sure the stand is in a more noticeable place and make their signage is clearer. This year, customers had to walk past another stand that was nice enough to direct them to Lemon Acres, “After they sold them a big glass of their own lemonade,” said October with a sigh. Oh, the struggles of a business owner. 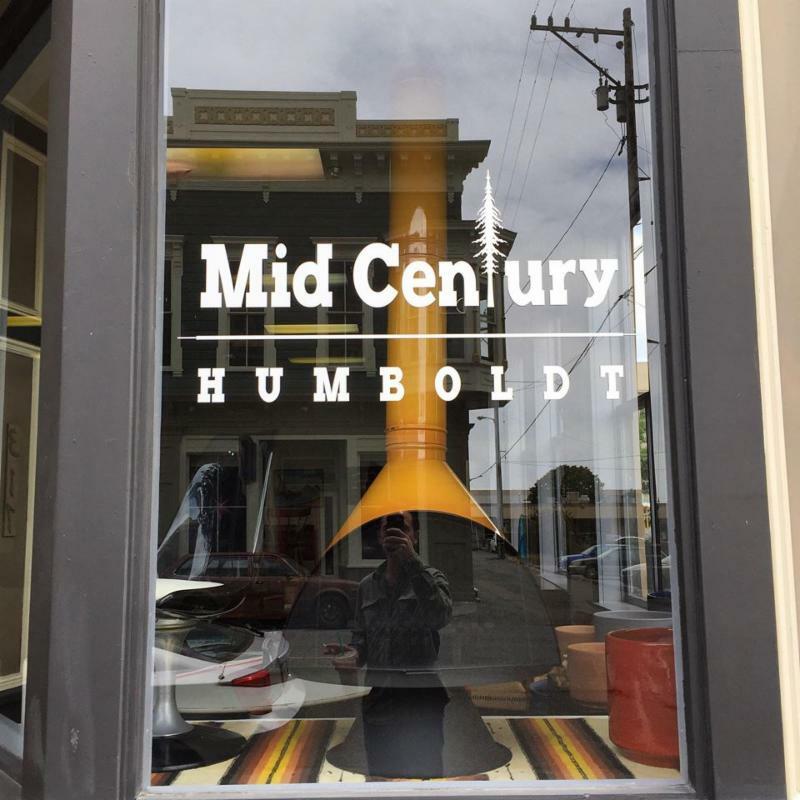 That future, as the Zinsmanns know, includes strong small businesses and they are doing their part as owner/operators of Mid Century Humboldt. 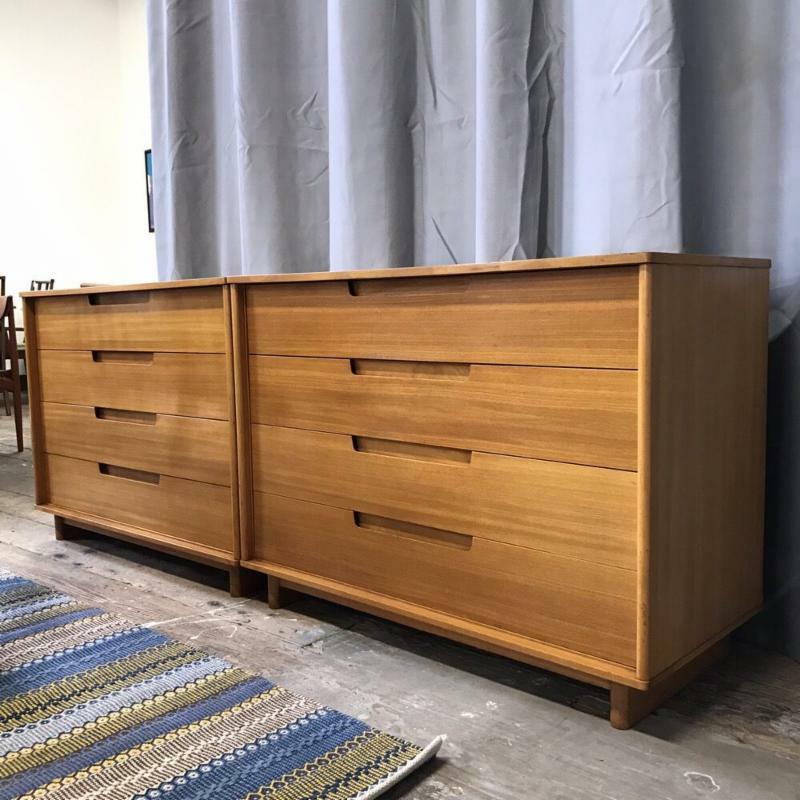 “We have been operating for over three years and specialize in new and vintage designer furniture and home goods focusing on mid century and Danish modern,” Zach explained. The Zinsmann’s recently used an AEDC loan to buy their building- further solidifying their presence as a brick and mortar store. 520 2nd. St. Eureka, CA. AEDC’s Tony Rodrigues is never bored. 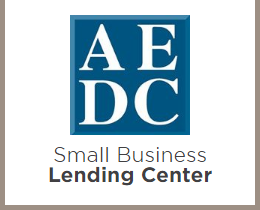 Rodrigues oversees AEDC loans over a 6-county region and covers a loan portfolio of approximately 105 borrowers. 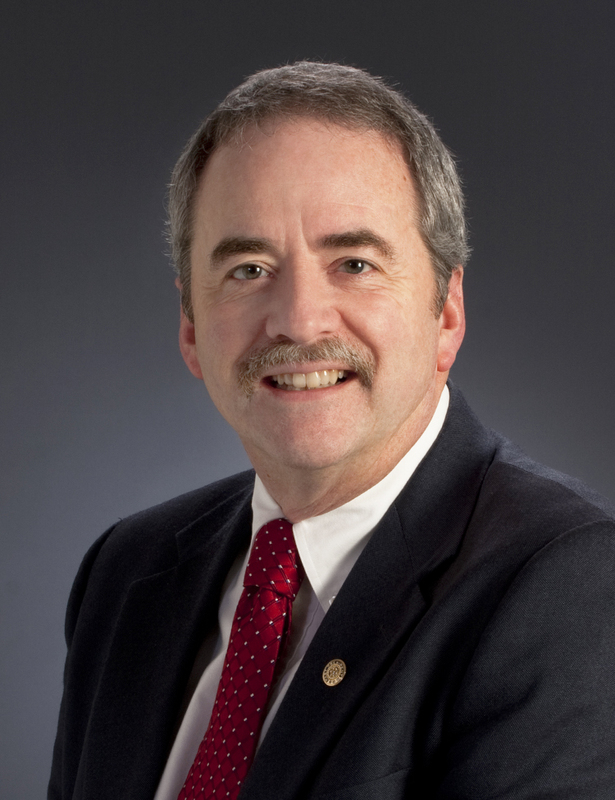 He is responsible for AEDC's loan servicing, collections and annual site visits. “I also do verification of insurance,” he explained. “I document and request annual financials from borrowers and transfer all documents into our Laser Fiche program making it paperless.” When needed, Rodrigues also manages the logistics when a loan goes bad. 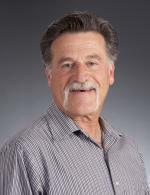 Rodrigues was born and raised in Crannell and came to AEDC in 2004. Previously he worked at Humboldt Bank, where he did Loan Servicing, Real Estate Construction Inspections and more. 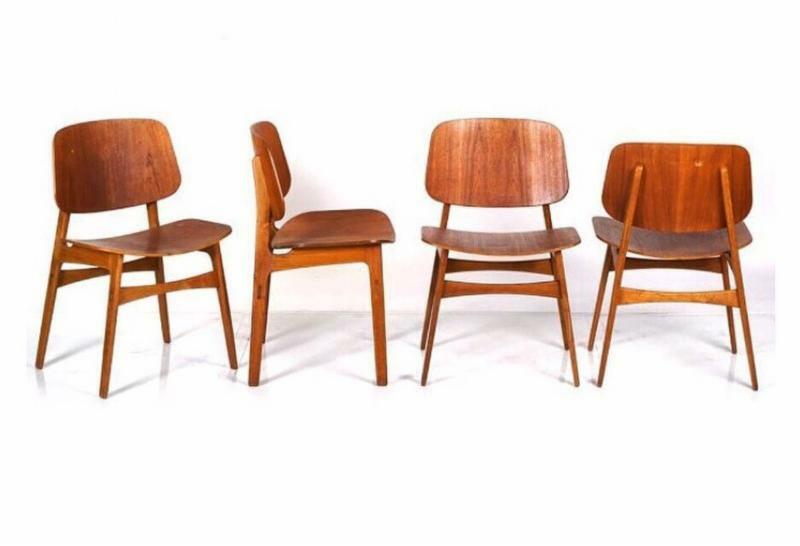 Prior to that he worked for a retail company for 8 years selling, delivering, and collecting. Are you a business owner or business partner? Have you been In business at least two years? 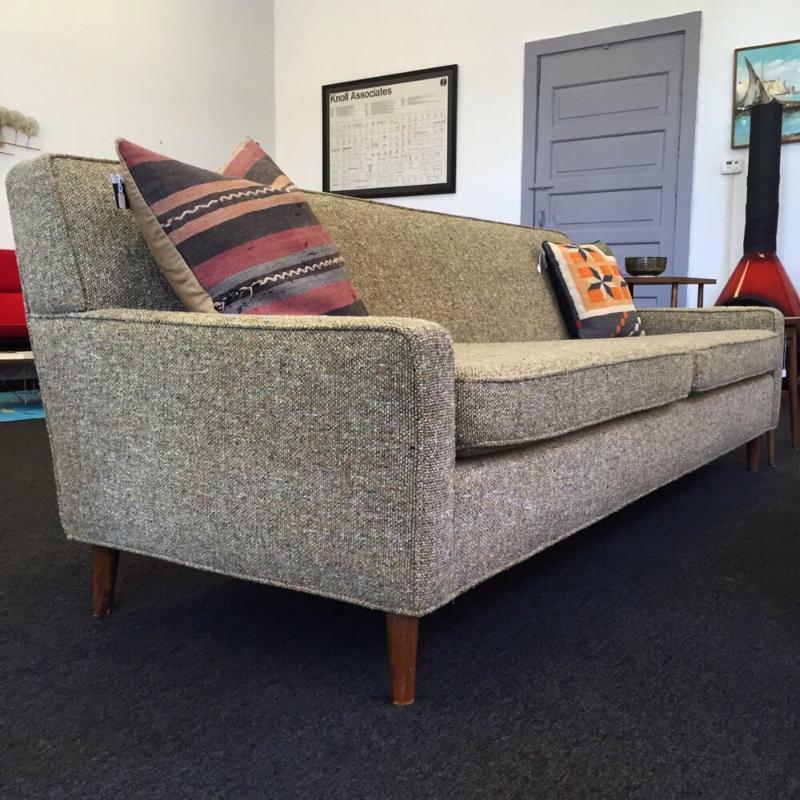 Do you have gross annual revenue of at least $75,000? Are you based in Humboldt County? 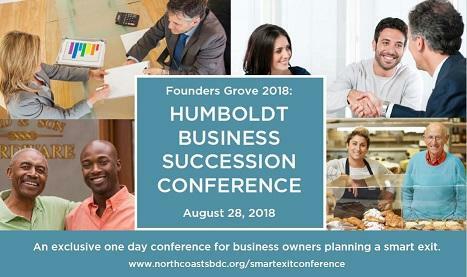 Access to experts on the financial, legal, strategic, and management aspects of a smart exit, like Scott Hunt of Hunter, Hunter & Hunt, LLP and Jason Eads, Esq. Then work out the rest with the help of your no-cost, confidential business advisor during the Business Succession Program. This conference is intended for business owners. The SBDC will send a mandatory pre-conference survey to ensure the topics addressed meet the needs of the participating business owners. Confidentiality and privacy commitments will be emphasized. From $50,000 to $5 million for commercial real estate, construction and equipment acquisition. Many commercial loans available on the market require a sizeable percentage down before the loan will be granted, and this can be an obstacle for many business owners looking to improve their facilities. The SBA 504 Loan offers a solution for that -- you can borrow up to 90% of your financing needs at a fixed rate, so only a minimum of 10% down is required. The remainder is split between the SBA loan (40%) and a bank loan (50%), and the Arcata Economic Development Corporation will work with your bank to submit your loan application. Loan amounts range from $50,000 to $5 million, and some restrictions apply. For more information, call Kelli Sterling, Loan Manager: 707-798-6132 ext. 212 or email kellis@aedc1.org.